If you are suffering from rheumatoid arthritis, then it might seem like an unattractive proposition when it comes to undertaking an exercise regime. There are plenty of exercises that can safely build up muscle strength and provide pain relief. Regular exercise is one of the best things that one can do when it comes to managing rheumatoid arthritis. Those who regularly exercise will live longer, while pain from rheumatoid arthritis can also be reduced by exercise. One can maintain strong bones, muscle strength, improve functional ability, and make one feel better about oneself. Exercising is safe for those with rheumatoid arthritis. There are certain types of exercise that are suitable for those with rheumatoid arthritis, including stretching, strengthening, and conditioning exercises. Stretching exercises are the safest when it comes to those with rheumatoid arthritis. These exercises require nothing more than stretching and holding different joint and muscle groups for ten to thirty seconds each. These exercises also improve flexibility. Strength exercises require one to work the muscles against various forms of resistance. This can be undertaken through the use of weights, however, this is not a total requirement. This kind of training strengthens the muscles and increases ones capabilities with regard to remaining pain free during exercise. Conditioning exercises increase cardiovascular fitness. There are many benefits to this type of exercise, including improving ones heart capabilities, preventing disability, and improving ones mood and overall well-being. This type of exercise can take the form of cycling, walking, swimming, or through the use of an elliptical machine. All of these exercises will get the heart pumping. Try to perform about twenty to thirty minutes of low impact conditioning exercises as often as possible. There are, however, some kinds of exercise that should be avoided if one is suffering from rheumatoid arthritis. Generally, it is advisable to avoid high impact activities like jogging or heavy weight lifting. However, if you really wish to undertake these activities, then make sure to consult your doctor before doing so. A rheumatologist will be able to help create an exercise program that is suitable to you. This might require one to meet with a physical therapist. These therapists can identofy which areas upon which one needs to focus. There are also community exercises that are designed specifically for those suffering from arthritis or rheumatoid arthritis. Make sure that you consult some medical professionals in order to determine an appropriate plan of action. 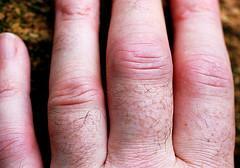 what are best rheumatoid arthritis doctors? Exercise regimen effective vs. rheumatoid arthritis? What is polychlorinated rheumatoid arthritis?